Happy Friday you guys! My cranky boy has decided to pass out take his nap early this morning, so I thought I’d take a moment to share with you three things I’ve been doing each night to help center and ground me, navigate the day to come, and to make sure I’m being deliberate in my actions. I use a journal for this. I write down the best thing I did that day. 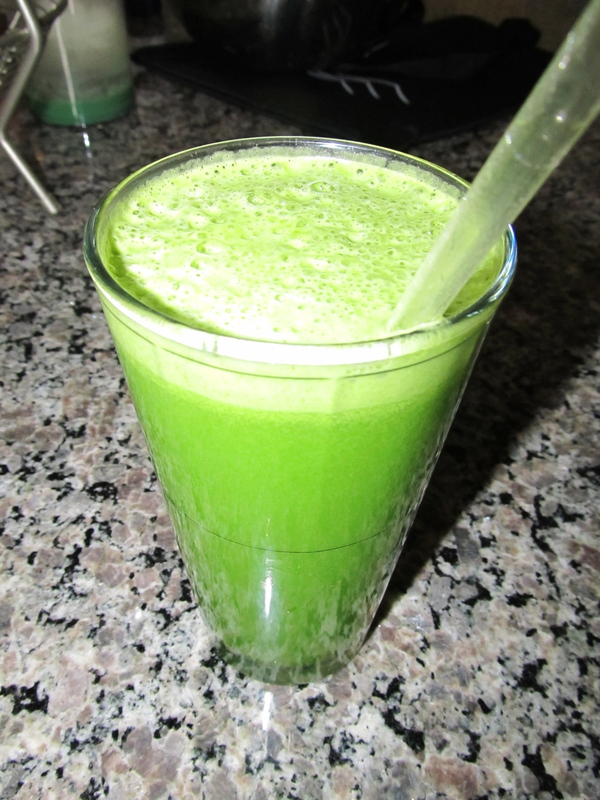 It could be as simple as drinking my green juice. Or perhaps not throttling the cat when he decided to wake up a sleeping baby. Make a quick list of the top things that need to be done tomorrow. For example, on my list today I need to vacuum and clean bathrooms. Write down one thing I’m not proud of doing today, and lay down a couple of sentences if I’m in the mood as to why it happened or how I can change it. I’ve found that this practice brings the important things that have happened during my day back into focus. If I’m being crabby or mean, taking a moment at the end of the day to think of the best part of my day usually un-funks me and makes me realize that it’s probably not so bad after all. Do you do something similar to this? Yesterday I had some pretty epic eats. I made a dressing with a cashew cream base and some kelp granules, but it wasn’t perfect, so until I get it just right, I won’t put the recipe here. But it’s coming! 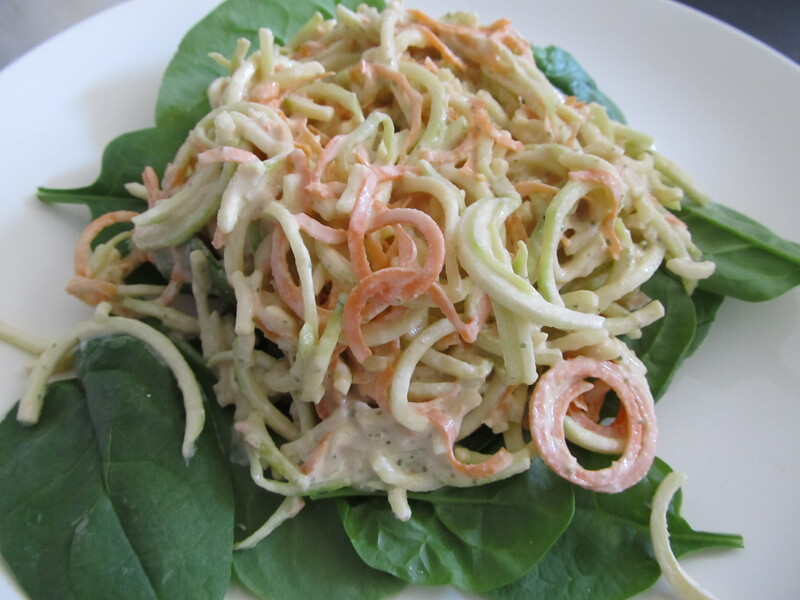 Spiraling your veggies is a fun way to eat them. 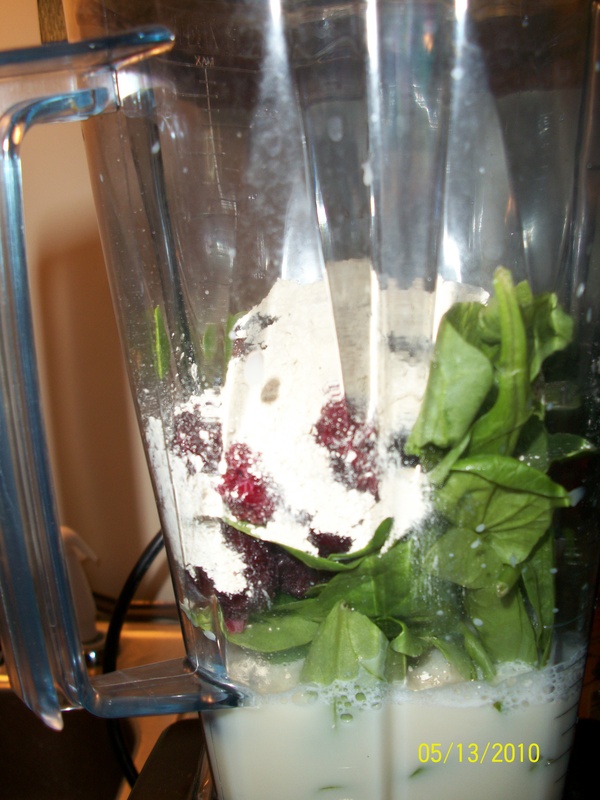 Blend it all up. Add a little ice if you want. Adjust the milk. But OMG. How delicious is it? With that lemon? And the color of it? AHHH. For all my North-Eastern dwellers: What is UP with the weather? I had gotten completely used to the 70-80 degree deliciousness we’ve been having, and all of this… cold… is freaking me out. I keep going out dressed inappropriately! My feet don’t want to be away from their flip flops! Well, because I wake up to a house that is 64 degrees these days, it’s been impossible for me to spring for the usual breakfast smoothie; the idea of sipping on anything icy makes me shiver. As a result, I’ve been hittin’ the java fairly frequently this week! I found this delightful friend at Trader Joe’s (clearly!) and it’s actually quite good! 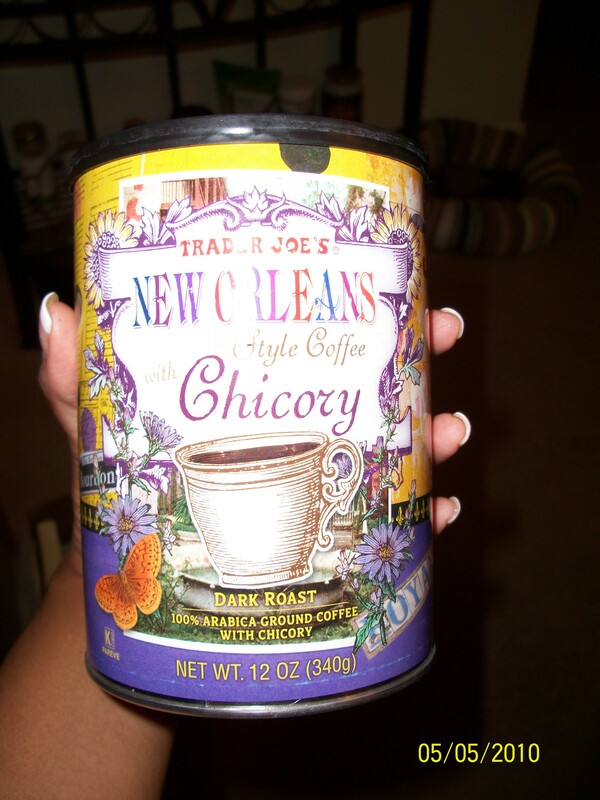 My other experience with chicory coffee is the original, from Cafe Du Monde in New Orleans. Oddly enough, I prefer TJ’s version. 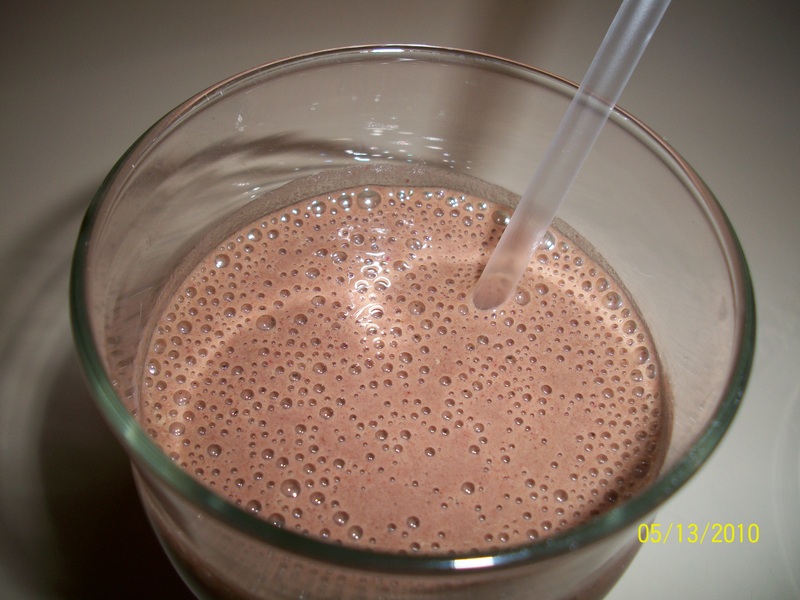 It tastes more… Chicory-ish? It’s really strong though. I find that I use a lot less of it to make a pot than with other grains. This is where I’ll be for the rest of the day — you guess it! — studying rocks. Oh joy! 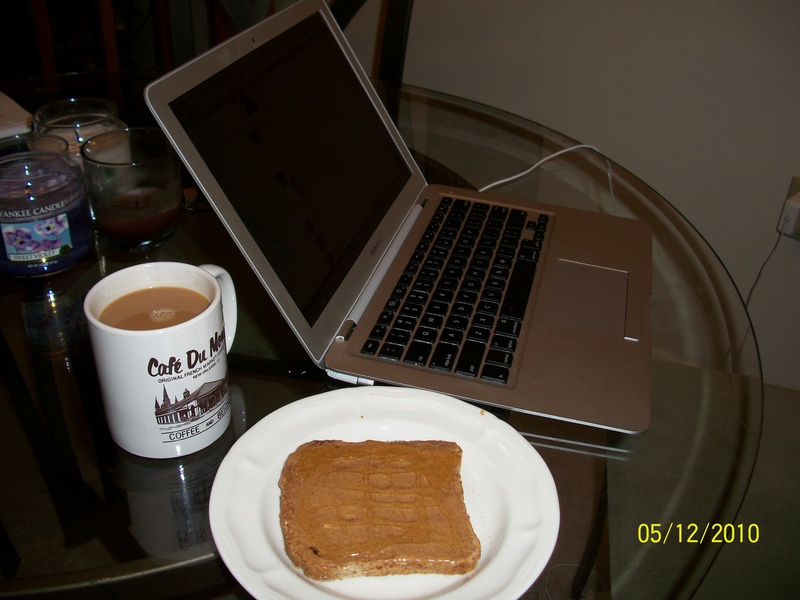 And of course, what goes better with morning java than a slice of toast with almond butter and a drizzle of agave? Nothing! Mmm. I mentioned this a hundred times before, but Hubs and I are moving soon, to an actual house! We currently live in a muy pequeno condo, and most of my stuff is still in storage and costing me rent! We are literally busting out of this place, so we can’t wait to have a place where we can stretch a bit. But that brings me to another issue: I’m messy. Trust me, I’d like to say I’m adorably scatterbrained, or organizationally challenged, but the fact of the matter is, I’m a freakin’ Tasmanian Devil in the house. Especially when Hubs is gone. Hubs, being ex military, is incredibly neat. In fact, when I first moved in here, every single item in the house had a place. In my home, items had “areas”… with loosely defined borders. Suffice it to say, some couples argue over money, some over work; we argue over how messy I am. The thing is, being messy does nothing positive for me. When I’m in a messy environment my productivity deadpans and I become a mess too. It’s a vicious cycle, like binge eating, which I also know a thing or two about. Hubs has loosened up A LOT over the past 4 years, and I have improved as well, but now that we’re looking at moving into a new place, I want to be even better than I am. I want to leave a room looking the same way it was when I entered it. I don’t want to spend hours searching for a left shoe or an earring back. Thus: The Clean Up Song. It’s very simple, and it’s an exercise I started on Monday when Hubs left for Vegas. Normally when he leaves, the house is pristine and then within hours I’ve sacked it. And since he’s not coming home that night… it remains sacked. And so do I. Not this time baby! Every hour or so, I pull up my iTunes and pick a song. I play the song and pick up as much as possible until the song ends. Then I’m done. By the time dinner time rolls around, I don’t have a whole lot to do! And I feel so much better! I can’t tell you how nice it was to wake up to a fresh and clean kitchen this morning. Whew! Do you guys have little tricks or games you play to help you overcome little idiosyncrasies? 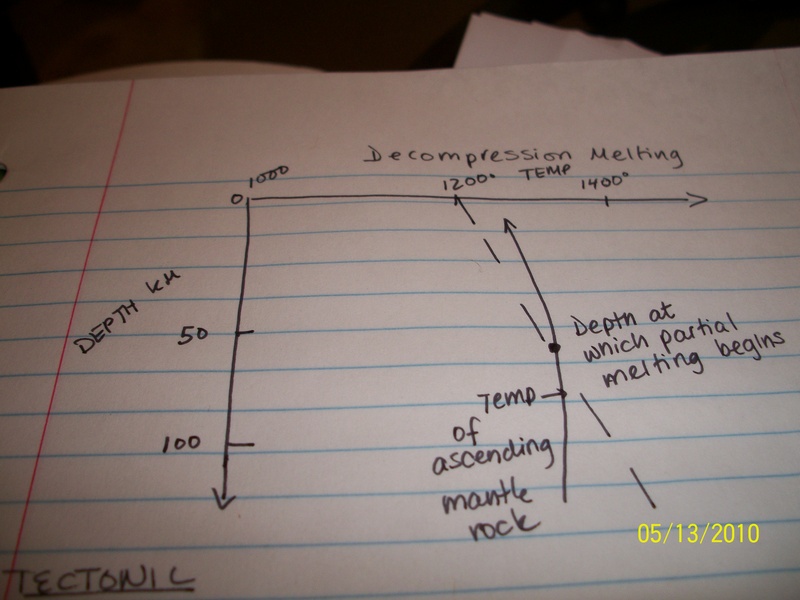 I’m hitting the rocks now, can’t WAIT until this final is over!! !